Hahahahahah Dune Sea…. hahahahah Dune Sea…. “quit parched”? I think you mean “quite parched”. 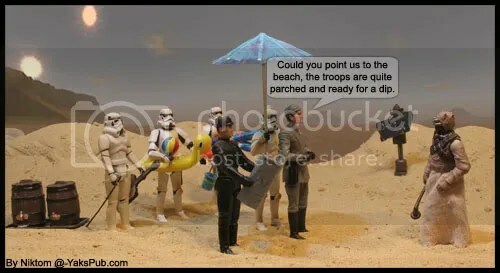 No wonder why the empire lost the war, they thought the Dune “Sea” was a real ocean! What’s next? 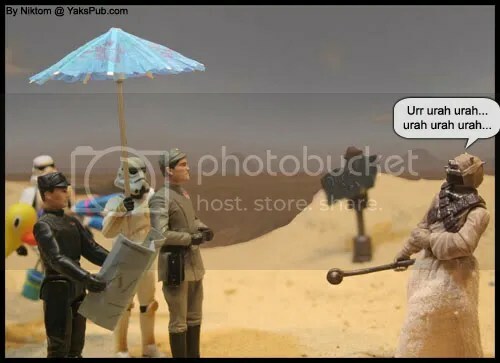 A jawa in a speedo? No one wants to see that. lol These get better and better. Whats a speedo, a BARC speeder or the one Luke sold in EpIV? Anonymous,speedos are underwear,just so you know. Anonymous said: Whats a speedo, a BARC speeder or the one Luke sold in EpIV? fett dude…? is… is it really you? h..have you returned? Ok… just for Jediknutt and Fish Eye… my only “Speedo” pic… enjoy! 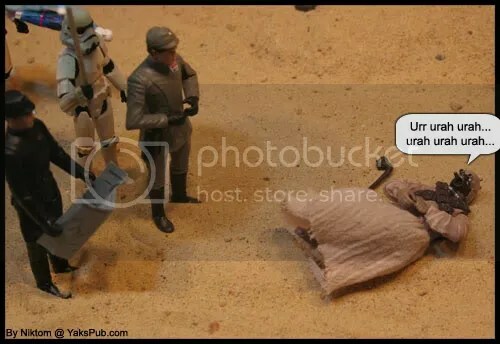 I thought you meent a Speeder bike, not the underwear Speedo. I clicked on the Speedo pic, and now I feel dirty. OK I did return,B-tab,I was (441st)LDR.Fixer,that’s my xfire account nickname.But all in all I always come here…it’s almost a daily habit!!!!! Thanks. I just lost my McBig Nasty I had for dinner.